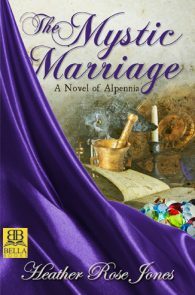 Heather Rose Jones is the author of the Alpennia historic fantasy series. She has sold short fiction to the anthology series Sword and Sorceress and Lace and Blade, as well as to the audio magazine Podcastle. She has non-fiction publications on topics ranging from biotech to historic costume to naming practices. Heather creates the Lesbian Historic Motif Project blog and its associated podcast, presenting research on gender and sexuality in history as a resource for authors writing historic-based fiction, as well as promoting lesbian historical fiction in general. She has a PhD from U.C. Berkeley in Linguistics, specializing in the semantics of Medieval Welsh prepositions, and works as an industrial discrepancy investigator for a major Bay Area pharmaceutical company. In addition to several decades of participation in historic re-creation groups, she is active in science fiction and fantasy fandom. The Mystic Marriage, Finalist, Science Fiction/Fantasy. 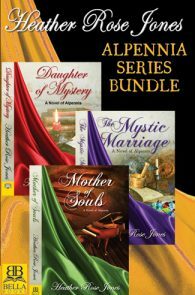 Daughter of Mystery, Finalist, Lesbian Science Fiction/Fantasy. 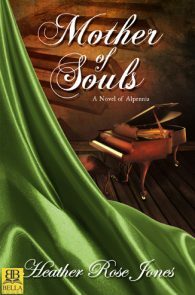 Mother of Souls winner for the Gaylactic Spectrum Best Novel award in 2017. The Mystic Marriage finalist for the Gaylactic Spectrum Best Novel award in 2016. Daughter of Mystery finalist for the Gaylactic Spectrum Best Novel award in 2015.